Sometimes people need a new place to spruce up the creative flow, just like this new and hip working space called Concrete. 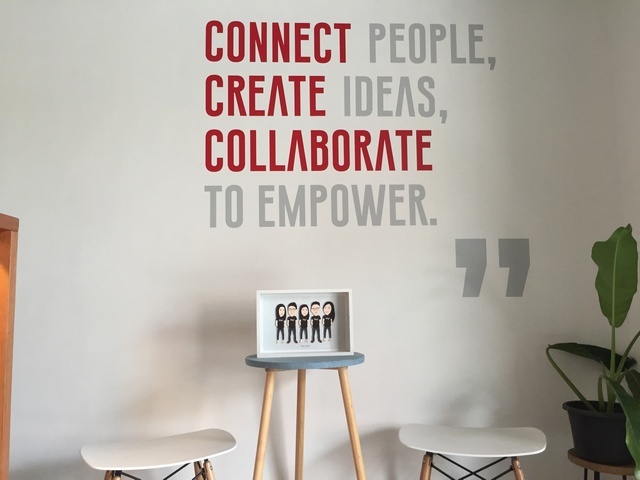 To briefly explain, Concrete is a co-working space where you can spend your day working on your project, or just simply want a peaceful place to work. Located in Pluit, North Jakarta, Concrete is a sharing common area where you can use top facilities like high speed internet, free complimentary (water, coffee and tea), and a set of chair and table alongside electric plug extention. And if you feel tired and are in need of a break, go to their first floor to the library and game room. And on top of that, the toilet is equipped with shower. Feels like home, yet? BOmagz talked with two of the five founders of Concrete, Raymond and Joshua. How to get a Concrete membership? How is the progress so far?